Alpha-bisabolol (also known as levomenol and bisabolol) has a pleasant floral aroma and can also be found in chamomile flower and candeia tree. This terpene found its use primarily in the cosmetics industry, but lately, it has caught the attention of researchers since it showed medical benefits, especially in cannabis. Alpha-bisabolol proved to be effective in treating bacterial infections and wounds and is a great antioxidant with anti-irritation and analgesic properties. 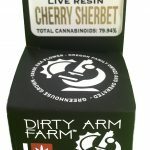 It can be found in strains like Harle-Tsu, Pink Kush, Headband, OG Shark, and ACDC. These two terpenes smell like pine trees and that’s also where they can be found in large amounts. Other plants rich in pinene include rosemary, orange peels, basil, parsley and cannabis of course. Like many other, pinene terpenes have an anti-inflammatory effect on humans. But more importantly, they help improve airflow and respiratory functions, while also helping to reduce memory loss related to THC. I know that this can sound weird because we’re talking about cannabis, but if the strain is rich in alpha and beta pinene, it can actually help with asthma. Pinene also helps patients with arthritis, Crohn’s disease, and cancer. You can find pinene in strains like Jack Herer, Strawberry Cough, Blue Dream, Island Sweet Skunk, Dutch Treat, and Romulan. Borneol, with its herbal minty scent, can be found in herbs like rosemary, mint, and camphor. This terpene is a good natural insect repellent which makes it great for preventing diseases like the West Nile virus, being passed by ticks, fleas, mosquitoes etc. One study found that borneol kills breast cancer cells. It’s also widely used in Chinese traditional medicine, in acupuncture to be precise. (7) Strains high in borneol are Amnesia Haze, Golden Haze, K13 Haze. The best way to describe the smell of camphene is fir needles, musky earth, and damp woodlands. Camphene aroma is often mistaken with myrcene, which is that trademark marijuana smell as most of us know it. From the medical point of view, camphene has great potential. When mixed with vitamin C, it becomes a powerful antioxidant. 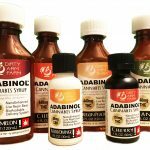 It is widely used in conventional medicine as a topical for skin issues like eczema and psoriasis. Its greatest potential lies in its ability to lower the levels of cholesterol and triglycerides in the blood, further lowering the risk of cardiovascular diseases. Camphene is present in Ghost OG, Strawberry Banana, Mendocino Purps. Best known for its spicy and peppery note, caryophyllene is also found in black pepper, cinnamon, cloves, and spices like oregano, basil, and rosemary. Beta-caryophyllene binds to CB2 receptors, which makes it an ingredient in anti-inflammatory topicals and creams. 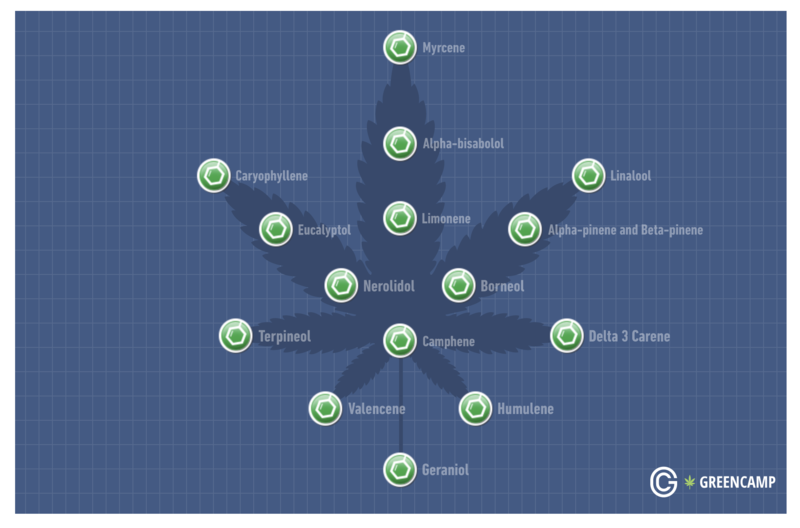 Caryophyllene is the only terpene that binds to cannabinoid receptors. Besides its analgesic and anti-anxiety properties, some studies have found that caryophyllene has some very promising properties when it comes to alcoholism rehabilitation. A group of scientists performed research on mice and found that this terpene reduces voluntary intake of alcohol. They even recommended caryophyllene for treating alcohol withdrawal symptoms. (6) You can benefit from caryophyllene by using strains like Super Silver Haze, Skywalker and Rock Star. This terpene is found in a number of plants like rosemary, basil, bell peppers, cedar, and pine. Its aroma is sweet and resembles the smell of cypress tree. When it comes to the medical side of carene, it seems to be most beneficial in healing broken bones. That gives hope to patients suffering from osteoporosis, arthritis and even fibromyalgia. What is also interesting about this terpene is that it stimulates our memory and helps memory retention. This is a major point in finding a cure for Alzheimer’s disease. Also known as cineole, eucalyptol is the primary terpene of the eucalyptus tree. It has recognizable minty and cool tones in its smell but most cannabis strains do not contain large amounts of it. It usually makes up around 0.06% of strains complete terpene profile. This terpene has been used in cosmetics as well as medicine. When it comes to its medical value, eucalyptol relieves pain but also slows the growth of bacteria and fungus. Although it is still in the early stages of research, this terpene has shown some promising effects on Alzheimer’s as well. Eucalyptol can be found in Super Silver Haze and Headband. Humulene was the first terpene found in hops. Its aroma contains earthy, woody and spicy notes. Besides cannabis, it can be also found in clove, sage, and black pepper. It has a variety of medical properties. Early research has shown humulene to be anti-proliferative, meaning it prevents cancer cells from growing. Also, it proved to be effective in suppressing appetite, making it a potential weight loss tool. Furthermore, like many other terpenes mentioned above, it also reduces inflammation, relieves pain and fights bacterial infections. You can find humulene in strains like White Widow, Headband, Girl Scout Cookies, Sour Diesel, Pink Kush and Skywalker OG. 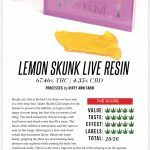 Limonene is the second most abundant terpene in all cannabis strains, but not all strains necessarily have it. As its name says, limonene gives strains a citrusy smell that resembles lemons, which is no surprise as all citrus fruits contain large amounts of this compound. Limonene is used in cosmetics and also in cleaning products. For therapeutic purposes, limonene is known to improve mood and reduce stress. Researchers also found it to have antifungal and antibacterial properties and one research even found it to have a role in reducing tumor size. (5) Strains that have “lemon” or “sour” in their name are usually rich in limonene.High levels of limonene can be found in strains like O.G. Kush, Sour Diesel, Super Lemon Haze, Durban Poison, Jack Herer, and Jack the Ripper. This terpene is the most responsible for the recognizable marijuana smell with its spicy and floral notes. Linalool is also found in lavender, mint, cinnamon, and coriander. What’s interesting is that just like those aromatic herbs, it has very strong sedative and relaxing properties. Patients suffering from arthritis, depression, seizures, insomnia and even cancer, have all found aid in this amazing terpene. Some well-known linalool strains are Amnesia Haze, Special Kush, Lavender, LA Confidential, and OG Shark. Myrcene is the most abundant terpene in cannabis, which is where it’s mostly found in nature. 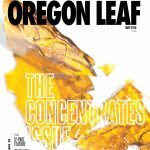 In fact, one study showed that myrcene makes up as much as 65% of total terpene profile in some strains. (4) Myrcene smell often reminds of earthy, musky notes, resembling cloves. Also, it has a fruity, red grape-like aroma. Strains that contain 0.5% of this terpene are usually indicas with sedative effects. It has also been reported that myrcene is useful in reducing inflammation and chronic pain, which is why it’s usually recommended as a supplement during cancer treatments. Strains that are rich in myrcene are Skunk XL, White Widow, and Special Kush. Bonus tip: If you want to experience a stronger buzz from marijuana, get yourself a mango and eat it about 45 minutes before smoking. Mango contains a significant amount of myrcene, so eating it before consuming cannabis will strengthen the effects of THC and increase its absorption rate. The aroma of terpineol can be best described as floral-like, reminiscent of lilacs, apple blossom, and a little bit citrusy. Terpineol tastes like anise and mint. Terpineol has a pleasant scent, similar to lilac, and is a common ingredient in perfumes, cosmetics, and flavors. It relaxes heavily and it’s usually the one responsible for the notorious couch lock effect. Medical benefits of terpineol also include antibiotic and antioxidant properties. It can be found Girl Scout Cookies, Jack Herer, and OG Kush strains. This one is a secondary terpene found mostly in flowers like jasmine, lemongrass, and tea tree oil. The smell of trans-nerolidol reminds of a mixture of rose, citrus, and apples and can be described in general as woody, citrus and floral. Trans-nerolidol is best known for its antiparasitic, antioxidant, antifungal, anticancer and antimicrobial properties. Strains like Jack Herer, Sweet Skunk, and Skywalker OG are rich in nerolidol. You might have noticed that not all strains smell the same. Pine, berry, mint… There’s more than a few distinctive fragrances in cannabis. Terpenes are organic chemicals produced by most plants and even some animals like swallowtail butterflies and termites. 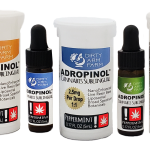 The term terpene is also often used to refer to terpenoids, which are oxygenated derivatives of terpenes. The easiest way to understand them is to think of them as volatile aromatic molecules. What’s so special about these chemicals is that they give plants their unique aroma. From the chemical point of view, terpenes are derived from the basic molecule of isoprene which replicates to make terpenes.These substances have two very important roles in every plant’s life: to protect the flowers from predators and to produce resin. They are a major part of resin and are heavily used in the production of essential oils, so they are a good fit for medical and beauty products. That is how terpenes made their way into the fragrance industry, as well as conventional and alternative medicine. They are most commonly used in aromatherapy, but they’re also synthetically made as flavors and aromas and as food additives. There are a few more fun facts about terpenes: natural rubber is made of terpenes, as are many steroids. Also, it wouldn’t hurt to know that an organic and completely natural maple syrup contains about 300 terpenes, which makes it so yummy in the first place. But what about cannabis? Terpenes basically give each strain its unique smell and taste. Not only that but they also enhance the effects of cannabis by influencing how we process cannabinoids. Let’s explore this in more detail. 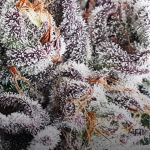 How terpenes work with cannabinoids? What we usually consume from cannabis is the flower. And just like any other flower, cannabis flower has its own recognizable smell. As mentioned before, there are about 120 terpenes found in cannabis. They coexist in the herb with cannabinoids like THC and CBD (sometimes even working with them for our better experience), but they are not psychoactive like THC. Some of those terpenes can be found in other plants, while others are exclusive to cannabis. But, It’s not all about the smell, though. Terpenes also have therapeutic properties and can aid in plant’s medical effects: They interact with our endocannabinoid system and assist cannabinoids in entering the bloodstream, in a process called the entourage effect. Myrcene, for instance, increases cell permeability and allows cannabinoids to be absorbed faster than they would on their own. Limonene is responsible for increasing serotonin levels which influences how weed affects our mood. That means these terpenes can influence neurotransmitters in our brain which entails that different strains may have different effects on our mood. Some terpenes are very effective in relieving stress, others are great when you need to relax, while there are some that boost focus. There are many options here, as you’ll have a chance to see. For example, myrcene induces sleep, while limonene uplifts our mood. In recent years, terpenes found in cannabis became an important subject of scientific research. It was Jürg Gertsch who first noticed the ability of beta-caryophyllene to bind to the CB2 receptors, calling it “a dietary cannabinoid”. (2) He also concluded that all green vegetables that contain this terpene are extremely beneficial for human use. Shortly after that, Dr. Ethan Russo published an article in 2011 in British Journal of Pharmacology, which pointed to all the therapeutic properties of terpenes in marijuana, especially those missing in cannabis products that only contain CBD. (3) He discussed the cannabinoid-terpene interaction as a “synergy with respect to treatment of pain, inflammation, depression, anxiety, addiction, epilepsy, cancer, fungal and bacterial infections”. 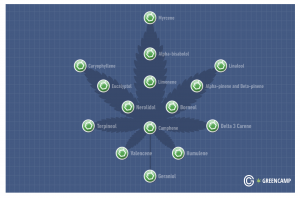 As I mentioned before, there are more than 100 terpenes in just one cannabis flower. 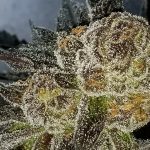 At the top of this page are some of the most well-known terpenes right now, most of which you’ll find in legal cannabis products in your area. Ben-Shabat S, Fride E, Sheskin T, Tamiri T, Rhee MH, Vogel Z, Bisogno T, De Petrocellis L, Di Marzo V, Mechoulam R, An entourage effect: inactive endogenous fatty acid glycerol esters enhance 2-arachidonoyl-glycerol cannabinoid activity, European Journal of Pharmacology, July 1998, 353(1):23-31. Gertsch J, Leonti M, Raduner S, Racz I, Chen JZ, Xie XQ, Altmann KH, Karsak M, Zimmer A, Beta-caryophyllene is a dietary cannabinoid.Proc Natl Acad Sci U S A, July 2008, 105(26):9099-104. Ethan B Russo, Taming THC: potential cannabis synergy and phytocannabinoid-terpenoid entourage effects. Br J Pharmacol. 2011 Aug; 163(7): 1344–1364. Mediavilla, Vito, Simon Steinemann, Essential oil of Cannabis sativa L. strains. 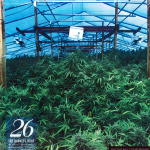 Journal of the International Hemp Association, 1997, 4(2):80-82. Miller JA, Lang JE, Ley M, Nagle R, Hsu CH, Thompson PA, Cordova C, Waer A, Chow HH, Human breast tissue disposition and bioactivity of limonene in women with early-stage breast cancer, Cancer Prevention Research, Jun 2013, 6(6):577-84. Al Mansouri S, Ojha S, Al Maamari E, Al Ameri M, Nurulain SM, Bahi A. The cannabinoid receptor 2 agonist, β-caryophyllene, reduced voluntary alcohol intake and attenuated ethanol-induced place preference and sensitivity in mice, Pharmacology Biochemistry and Behavior, September 2014, 124:260-8. Chuan-bin Yang, Wei-jing Pei, Jia Zhao, Yuan-yuan Cheng, Xiao-hui Zheng & Jian-hui Rong, Bornyl caffeate induces apoptosis in human breast cancer MCF-7 cells via the ROS- and JNK-mediated pathways, Acta Pharmacologica Sinica, 2014, 35:113–123. In charge of Greencamp’s health section, with a decade long experience of using cannabis for stress relief. Her spare time is mostly divided between Irish dance and reading.